Prepared by: Linus Joseph Dewald Jr.
1. PATRICK ROONEY. Born, circa 1789 in Downpatrick, Co. Down, Ireland per Ancestry.com. Patrick m. 1st Bessie McGuire, b. in Ireland. They had 1 son and 1 daughter. John Rooney, b. 1817, Ireland. Peter Rooney, b. 1820, Ireland, and d. 16 Aug 1897, Blantyre, MalawiMozambique, Africa, age 77.years. I also have O'Hare relations on my father's side. I know little of them other thatn my great grandfather was Joseph O'Hare. He married a Sarah Lewis. They had at least 10 children, though I'm sure my father told me there were 16. The O'Hare's owned a Dairy on the Glen Road, Anderson's Town. 2. EDWARD "NED" ROONEY (PATRICK, 1). Born, c. 1808 in Co. Down, Ireland, and d. 24 Mar 1894 in Ireland. Edward, known as Ned, is the only presently known child of Patrick Rooney, although in those days of large families it seems likely that there were other siblings whose identities have not yet been ascertained. His exact birth date is unknown, but his eldest child, his son Patrick, was born in 1830. That would suggest that perhaps Ned was around 22 at that time which would place his birth date at about 1808. Neither is his place of death known for certain. In his letter of 11 Jun 1990, Carlisle Ganz writes: "I have no information that he immigrated to the States - I understand that he died in Ireland..." Ned married twice during his lifetime. By his first wife, Margaret (O'Hare), whom he married about 1829, Ned had five sons and a daughter. By his second wife, Mary (Cannon), who he married after Margaret passed away, Ned had two more sons. "Father (Carlisle Ganz says that reference is to Nick Cunningham) left the Ol' Country 28 Jun 1883, sailed from Liverpool 30 Jun 1883. Landed in American 9 July 1883. Came to Nebraska 12 Aug 1888. "Father (Carlisle Ganz says this reference is to Edward "Ned" Rooney) was a dealer in Whiteheaven, England and the Isle of Man." The Isle of Man is a large island situated in the Irish Sea about 50 miles straight east of County Down and about 35 miles from the coast of England, the nearest point on the English coast being the port city of Whitehaven, the city to which Elizabeth's letter probably referred. Unfortunately, Elizabeth's letter did not identify the product in which Ned was a "dealer." Her choice of the word, "dealer," is interesting. The dictionary defines a "dealer" as one engaged in buying and selling; trading, as a "fur trader." Given that time and place, perhaps he was a dealer in livestock such as cattle or sheep. Carlisle Ganz's letter of 11 June 1990 affirms that Ned was a cattle dealer. In his son's (Hugh) 1882 Marriage Certificate, the son is identified as a fisherman residing in the Town of Peel on the Isle of Man. Edward , "Ned," died about 1894 at about the age of 89. Edward, "Ned," married, first, MARGARET O'HARE, circa 1829 (? ), in Ire. Born, circa 1804. Margaret apparently d. c. 1855; Edward m. his 2nd wife, Mary Cannon in 1856. 3       i.  PATRICK "PAT" ROONEY. Ire.. Died, circa 1856, in Great Lakes. Michigan, and drowned while swimming in Lake Superior. make his birth date 1831. Joseph R. Prentice wrote that Edward"Ned," married, second, Mary Cannon, circa 1856, in Co. Down, Ireland. Born, circa 1831 (? ), in Co. Down., Ire. Died 1918. Burial in Alexandria, NE. Mary lived with her son, James after she immigrated to America. We now know, from later research by Tom Cunningham, that Edward"Ned," married, Mary Cannon on 3 Dec.1855 at Lower Mourne Catholic Church, County Down, Ireland. Note: Tom Cunningham advises there are 2 Catholic Churches, both known as "Lower Mourne." One is "St. Joseph's Catholic Church, Ballymartin - Lower Mourne" and St. Mary's Catholic Church, Glassdrumman - Lower Mourne (see Ancestry.com ). Hugh Rooney's baptism entry specifically names Glasdrummon (St.Mary's). Sometime the priest did not enter specifically which church the event took place. All the Cunningham children's baptism's were at St.Joseph's,as well was Patrick "The King" Cunningham's marriage. It is unclear in which church Pat & Rosanna were married at it was listed only as Lower Mourne Catholic Church. It may have been St. Joseph because the family attended that church. It is also unclear in which church Ned Rooney and Mary Cannon were married because it was listed only as Lower Mourne Catholic Church; but since Hugh was baptised at St. Mary's (Glasdrummon) they were probably married at St. Mary's. Tom Cunningham also notes that Mary's Cannon surname also appears in documents as "Canning, Kanning, Kenning, Canning, Kennin." For convenience, we use "Cannon." 6       v.  John "Punch" Rooney. vi. Edward Rooney. Born, 1 Nov 1863, in Co. Down, Ire..
Died, 1946. Edward never married. 7     vii. Elizabeth "Lizzie" Rooney. 8    viii. James "Jim" Rooney. 3. PATRICK "PAT" ROONEY (EDWARD "NED", 2). Born, 12 Aug 1830, in Bally Veamore, Down, Ireland. Died, 2 Dec 1914, in Horton, Brown, KS. Burial in Fidelity Cem, Fairview, Brown, KS. For his emigration to America, we have apparently conflicting sources. (1) One source says it was c. 1856 in Galesburg, IL. Occupation: Farmer. (2) However, the story about Pat's emigration to American, it appears that he may have emigrated c. 1857. Pat's gravestone says he was born in 1828. Not true, says Anne (Rooney) Miebach. She says Pat added 2 years to his age because he did not want anyone to know he was younger than his wife, Rosanna. "Pat spent his youth on the Isle of Man while Ned followed the sea," and "things god bad for potato farmers after the famine of about 1847. Pat went to work on the Isle of Man. Pat came back in late 1852, met and married Rosanna Levings. (I) used to hear my grandmother Prentice, nee Maggie Jane Rooney, tell how Pat migrated to America leaving wife with baby, Ed (Albert Edward Rooney), she was a very proud woman. A week or so after he (Patrick) left, she (Maggie) discovered that she was pregnant. Pat wanted her to wait until he had earned enough to set up a proper home for her. She refused to await a child who might be born more than nine months after Pat had left, if she ran a long term. Scandal, you know! So, against his wishes and without telling him, she packed the baby and her few belongings and left for America. Believe that this is the child who was still born and Pat blamed her stubbornness for it especially as the next three were all girls." There is, however, a problem presented by that story. According to information received, the first child of Pat and his wife is Albert Edward Rooney who was born 24 Dec 1853 at Bally Veamore, County Down, Ireland, rather than in America. Their second child, Margaret Rooney, was born 1 Apr. 1858 at Galesburg, Knox County, IL. Pat is said to have married his wife in 1853 and immigrated to America in 1856. Albert Edward Rooney must be the "Ed" to whom the story referred. If she was thereafter pregnant, and given Margaret's 1 Apr. 1858 birth date, she probably became pregnant about July, 1857. Assuming that Pat is the father, that would place Pat's immigration to America as the latter part of 1857 rather than 1856. Joseph also relates another story about Pat's immigration which follows the same general time frame, but from a somewhat different perspective: "(Pat and Rosanna) had been married...and were living with grandfather's people and jobs were scarce for the great famine in Ireland had been just a few years before. They were invited to a dance this nite and stayed until early morning. When they got home, the door was locked and grandfather was so angry he kicked it in and had a quarrel with his parents, and they told him to leave. He went, and sold a horse he felt was his and bought a ticket (sailing vessel) to America. He lacked 5 pounds for enough to bring grandmother and no one could or would lend it to him. Grandmother was pregnant when he sailed. He got work putting the railroad through at Galesburg, Ill. at $1.00 a day. He saved enough money for her pasage the first year but the ship was lost on which it was sent, then again he sent it and the bank broke through which it was sent. The third time it was sent Uncle Ed was (illegible: 3 1/3?) years old. Her people with whom she lived (felt?) that he had deserted her and were very mean to her. She supported herself and the baby by doing embroidery work. Her mother was the village school teacher. .p .p Mother (Margaret) was born 9 months after Grandmother landed in Galesburg, IL, April 1, 1857." There are some minor discrepencies. He says Rosanna was pregnant when Pat sailed, and says she gave birth 9 months after arriving in America, yet it is hard to imagine how that could be with the intervening period needed to earn enough money for passage three different times. .p .p In other letters, Joseph mentions the possibility that the child with whom Rosanna was pregnant was stillborn. Based on that statement, which seems to be the most reasonable way to reconcile the story, a stillborn child has been listed with a birthdate of 1856. Another anecdote concerning Rosanna's immigration to America: It is said that her son was over two and one-half years at the time she received the money to sail to America. When she got to the boat, she was informed that children over age two would be an additional half fare. She lied and said that the child was not yet two. This little white lie bothered her in her later years. The family story is also told that the journey on the sailing vessel which took six weeks and you had to have your own food. One day, while walking on the deck she met the Captain and he said, "Well, Mrs.Rooney, how long has your husband in America?" She said, "Over three years." Then she wondered why he smiled...until she figured it out. Good story, but with a flaw; it assumes that her then current pregnancy did not show and for her to have been pregnant Pat would have been gone less than 9 months so there was no reason for her to have said over three years. The story obviously relates to the "child under two free fare" mentioned above and may just be a family joke. Pat and Rosanna moved to Leavenworth, KS in 1858 and to Brown Co. near Fidelity, KS in 1869 where he engaged in general forming for 25 years. In 1894 his family moved to Horton, KS. Pat and Rosanna owned Lots 21-28 in Block 125, CK&N Addition to the City of Horton. Joseph R. Prentice writes: "When I was a little boy (around 1920, give or take a couple years), we used to visit my great grandmother (Pat's wife, who would have been in her late 80's or early 90's)...She had a favorite refrain that went about as follows: 'Pat, the dirty devil, him and that whisky! Killed him, it did, right in the prime of his life and left me with the big family to raise and the farm to run.' I used to imagine (Pat) in his 30's from what she said. After I became interested in genealogy, I hunted up his grave in the old Fidelity Cemetery, Nemaha Co., KS. It reads: Patrick Rooney, died at the age of 84 years, 3 months and 20 days. I wonder to what age he might have lived had it not been for the whisky. He was an extremely handsome man even when in his 80's." Pat predeceased his wife Rosanna by 10 years. He married ROSANNA LEVINGS, daughter of JOHN LEVINGS and ALICE MARGARET HIGGINS, 7 Feb 1853, in Ballyveamore, Ballymartin, Down, Ire.. Born, 20 Mar 1828, in Kilkeel, Down, Ire. Died, 5 Aug 1924, in Sabetha, Nemaha, KS. Death(2) in Horton, Brown, KS. Immigration: May 1856. According to Joseph R. Prentice's letter of 29 Aug 1986, after Patrick had gone to America to earn money for her passage too, he was just about ready to return to ireland when he received a letter from Rosanna saying, "Do you know what that old fool of a father of yours has done? His wife hardly cold in her grave and he ups and marries a 20 year old girl, Mary Cannon." "In 1955 we flew to Belfast and took a cab for the trip to Ballyveamore which is about 35 miles south over a winding narrow road that is used perhaps once a year as a racing track...We visited Mrs. George Haughian, a grandniece of Roseanne, who lives in the old family home (where Roseanne was born and where she lived until she came to America). It is called "Shades of Glentaff." "We spent some time talking to Mrs. Haughian and her four daughters--one of them married to a Rooney. She told us LEVINGS had been marrying ROONEYS for a tremendous number of years. All were charming and intelligent but when we learned that Mr. Haughian and the seven sons were out hoeing potatoes on something like forty acres, I felt like bursting into tears - so announced we had to leave and we took our cab back to Belfast, and managed to catch the night train for Dublin." 9       i.  Albert Edward "Ed" Rooney. 10     iii. MARGARET JANE ROONEY. 11      iv. Mary Alice Rooney. 12      vi. John Francis Rooney. vii. Patrick Rooney. Born, 19 Feb 1864, in Leavenworth, KS. 13    viii. William "Will" Tecumseh Rooney. 14      ix. George Bernard Rooney. 15       x.  Arthur Patrick Rooney. Brown, KS. Died, 17 Jul 1966, in Los Angeles, L.A., CA. 21 Jan 1902, in Horton, Brown, KS. 1124 W. 7th St., Los Angeles, CA. 4. Hugh Rooney (EDWARD "NED", 2). Born and bap. 10 May 1856 as "Hugh Roney", Co. Down, Ire. Died, 7 May 1936 . Burial in Fidelity Cem. Hugh is Edward "Ned" Rooney's third child, and the first child of his second marriage to Mary Cannon about 1856. He is a half-brother to Patrick "Pat" Rooney, above. His 14 Feb 1882 Marriage Certificate, issued when he was 25 years of age, identifies his "Rank or Profession" as that of a Fisherman and says that he had lived for the preceeding two years in the Town of Peel on the southwewst coast of the Isle of Man. That would indicate he was 23 when he moved to Peel, perhaps from County Down. Since he was married in the Roman Catholic Chapel in the port town of Douglas on the southeast coast of the Isle of Man, he presumably was Catholic. There is no specific information presently available concerning Hugh's immigration to America, but it was some time before the birth of his daughter, Eva Catherine Rooney, on 7 Aug 1897 at Oneida, KS. He married Isabella "Isabel" Sarah Cunningham. The Peel "Registrar's Certificate For Marriage By License" dated 5 Feb 1882, says that the marriage was to be solemnized in the Roman Catholic Chapel, Town of Douglas. They were married on 13 Feb 1883. Isabella was b. 26 Aug 1858 (? ), in Town of Peel, Dist. of Peel, Isle of Man. Died, 16 May 1932. Burial in Fidelity Cem. Isabella's Marriage Certificate says that at the time of her 1882 marriage she was a "Spinster" of "Full age". One would suspect that term "Spinster" was used in the since of an unmarried rather than an elderly old maid since her husband was but 25 years of age at the time of his marriage to her. Mary E. Rooney, twin, b. Apr 1883, probably England. Died, 1899, probably in Powhattan, Brown Co., KS. Burial in Fidelity Cem. Marjorie J. Rooney, b. c. 1912, KS. At home in 1920 census. John E. Rooney, b. c. 1914, KS. At home in 1920 census. Anna L. Rooney, b. c. 1915, KS. At home in 1920 census. Patrick H. Rooney, b. c. 1917, KS. At home in 1920 census. William Lloyd "Lloyd" Rooney, b. 17 Mar 1919, KS, obtained his SS# in KS, and d. 16 May 1988, Trenton, Hitchcock, NE, per SSDI. Bur. in Atwood, KS, per Chad Rooney, email, 27 Jun 2009. Anna Rooney. Born, 30 Apr 1886, in Isle of Man, England. It is unclear whether she is the Eliza Rooney shown in the 1900 census at home and as b. Apr 1887, England. Died in Denver, CO. Burial in Mt. Olivet Cem., Denver, CO. Occupation: Catholic Nun. Hugh Rooney, b. Oct 1889, England. 1900 census at home in Powhattan, Brown Co., KS. Residence in Davenport, IA. Patrick J. Rooney. Born, 1893. Died, 1893. Daniel P. Rooney, b. Dec 1894, KS. 1900 census at home in Powhattan, Brown Co., KS. Charles Rooney. Born, 14 Aug 1900, in Unk., Brown, KS. Died, 6 Jan 1984, in Topeka, KS. He married Alice Smith. 5. Mark Rooney (EDWARD "NED", 2). Born, 29 Jan 1857, in Co. Down, Ire.. Died, 16 Jan 1950. Immigration: 23 Apr 1885, in New York. Mark is the fourth child of Edward "Ned" Rooney, the second by his second wife, Mary. According to an account by Mark's sister, Elizabeth, the two of them came to America together in 1885 and went by train the Sebetha, KS where their half-brother, Patrick, and his wife, Rosanna, were living. Following his marriage, Mark and his wife apparently lived for a time in Brown Co., KS where his eldest child, Edward, was born in 1889. Some time prior to 1908 Mark and his family moved to Rawlins Co., KS where his eighth and last child, Alice was born. Mark's death date is not known, but it was probably some time after the birth of his last child, daughter Alice, in 1908 in Rawlins Co., KS. He married Sarah Elizabeth "Lizzie" Prentice, 11 Oct 1887. Born, 28 Dec 1868, in Nemaha Co., KS. Died, 26 Aug 1933. Burial in Cath. Cem., Beardsley, KS. i.  Edward J. Rooney. Born, 24 May 1889, in Brown Co., KS. 19      ii. Hester Mary Rooney. 20     iii. Mark Patrick Rooney. iv. Clara Marie Rooney. Born, 7 Sep 1896. Died, Nov 1966.
v.  Ellen Rooney. Born, 15 Jul 1899. She married Cecil Tabler. vii. Infant Rooney. Born, 1906. Died, 1906. 6. John "Punch" Rooney (EDWARD "NED", 2). Born, 1861, in Kilkeel, Down, Ire.. Died, 11 Oct 1937, in Topeka, KS. Burial in Fidelity Cem., Nemaha, KS. John is the sixth child of Edward, the fourth by his wife Mary. We don't yet know when he immigrated; all we know is that he died in Nemaha Co., KS in 1937. 23      ii. John (Jack?) Rooney. iv. Robert Rooney. Born, 20 Nov 1893. Died, 30 May 1895. Burial in Fidelity Cem. 27     vii. Jane Elizabeth Rooney. Ballyvea, Down, Ire. Died, 195010. Immigration: 23 Apr 1885, in New York. Mark, who came with me to this country." i. (6 other children, names unknown) 4. He married Russel A.
ii. John Cunningham. Born, circa 1895 (?). iv. John Patrick Cunningham , b. 21 March 1898, in Gladstone, NE, and d.6 April 1969 CO.
30       v.  Mary Elizabeth Cunningham. 31      vi. Nicholas Edward Cunningham Jr.
8. James "Jim" Rooney (EDWARD "NED", 2). Born, 27 May 1872, in Co Down, Ire. Died, after 1940 (? ), in Hebron?, NE. Jim is the eighth and youngest child of Edward, the sixth by his wife, Mary. Acccording to the 29 Aug 1986 letter of Joseph R. Prentice, James married late in life, in his late 60's, and had 5 children under 6 years of age in 1932.
i. (5 children Rooney ). 9. Albert Edward "Ed" Rooney (PATRICK "PAT", 3). Born, 24 Dec 1853, in Ballyveamore, Down, Ire.. Died, 3 May 1947, in Fairview, Brown, KS. Burial in Sabetha Cem. Immigration: 1856. Ed is the oldest son of Pat and his wife, Rosanna (Levings). Born at Ballyveamore in 1853, he accompanied his mother during her journey in 1856 to join her husband who was working on the railroad in Galesburg, IL. In 1858, when he was 4, his family oved to Leavenworth, KS a few miles north of Kansas City. In 1869, when he was 15, his family moved to Brown Co. in the northeast corner of the State, near Fidelity, KS where his father engaged in farming for the next 25 years. Ed married in 1878 when he was 25. Ed died at Fairview, just across the county line from Sabetha, in 1947 at the age of 93 years. 33       i.  Mabel Mary Rooney. 34      ii. Chester Charles Rooney. Brown, KS. Died, 14 Mar 1954, in Garden City, KS. Burial in Satanta, KS. He married Marguerite Alice Rooney. 1890. Burial in Fidelity Cem., Brown, KS. 35       v.  Ellena Florence "Nelly" Rooney. 36      vi. Orlie Edward Rooney. 10. MARGARET JANE ROONEY (PATRICK "PAT", 3). Born, 1 Apr 1858, in Galesburg, Knox, IL. Died, 2 Jun 1928, in Hebron, Thayer, NE. Burial in Sac. Heart Cem., Hebron, Thayer, NE. Margaret was the daughter of Patrick "Pat" Rooney and Roseann Levings and the first Rooney born in America, nine months after her mother joined her father at Galesburg, IL where he was working on the railroad. In 1858, while still an infant, her father, mother, and four year old brother Albert ("Ed") moved to Leavenworth, KS, a few miles north of Kansas City. In 1869, when she was 11, the family moved to Brown Co. where her father farmed for the next 25 years. She married when she was only eighteen, younger than the half-sisters (Emma and Molly) of her husband Joseph, who were living with Joseph on 160 acres in Nemaha Co., KS. In addition to taking care of her husband's two young children by his earlier marriage (Joseph and George), she and Joseph promptly started another family of their own. Emma soon left their home about the time of the birth of Margaret's first child to marry a local man, Ruben Brown. Margaret apparently came from a non-demonstrative family, and did not enjoy the "clumsy hugs and sloppy kisses" of young Henry and David, the sons of Joseph's first wife, nor the fact that they called her "maw." They later were sent to live with relatives in Ohio. "The town of Sabetha, KS where Margaret and her husband, Joseph Prentice, lived before 1894 is approximately 7 miles north of the Fidelity cemetery. The Pat-Rosanna home at that time was an additional 2 miles. (We go back) to that age, with its horses and sleighs (and perhaps Grandfather Prentice's sleighbells on the horses for the ride to Grandmother's house for Christmas.) The trip to see her parents for the final time during the 1893 Christmas season must have been traumatic for Maggie, for the family was moving to Hebron, more than 100 miles away. So for the first time in her 19 years of wedded life (with her husband gone to Kansas City) Maggie may desperately have wanted company. The sleigh bells which were Grandfather Prentice's were with us in our Montana years, and used each winter too. They are now in the possession of Joseph Rollin Prentice IV, grandson of my brother J. R., who has them on his apartment wall in Massachusetts,where he is working. They have recently been transferred to new leather." In her later years, Margaret suffered from severe arthritis and used crutches. Her knees were terribly swollen and painful. She was 71 when she died. She married Joseph Rollin Prentice, 16 Sep 1875, in Nemaha Co., KS. Joseph Rollin Prentice (John Roland Harris, 250). was b. 6 Dec 1838, in Lancaster, Fairfield, OH . Died, 7 Aug 1908, in Glockner Hosp., Colorado Springs, CO. Burial in Calvary Cem., Hebron, Thayer, NE. Census: 1860, in Preble Twp., Adams, IN. Census: 1870, in Rock Creek, Nemaha, Ks . 37       i.  FLORENCE ROSANA PRENTICE. 11. Mary Alice Rooney (PATRICK "PAT", 3). Born, 25 Sep 1859, in Galesburg, Knox, IL. Died, 8 Feb 1934, in Marysville?, KS. Mary lived at Marysville, KS in 1926, and it is tentatively assumed that she also died there in 1934 at the age of 74 years. ii. Inez/Ines McKibbon. She married Mr. Nieberding. iii. Ann McKibbon. Residence in Lethbridge, Alberta, Canada. Glenn P. Rooney (Infant), b. 1896, and d. the following year, 1897. Powhattan, KS. Bur. St. Patricks Cem. Beattie Marshall Co., KS. Find A Grave Memorial# 57789296. Marguerite Alice Rooney. Born, 14 Jul 1897, in KS, and d. 25 Jul 2001, age 104 years, Powhattan, KS, Bur. Dudley Twnshp. Cem. Satanta Haskell Co, KS. Find A Grave Memorial# 30631210. Resided, 1990, in Satana, KS. She married Harry Patrick Rooney 29 Dec 1017. Born: 21 June 1885, Died: 14 Mar 1954, Buried: Dudley Township Cem. Satanta Haskell Co., KS. Find A Grave Memorial# 30631150. Leslie W. Rooney. Born, 7 Dec 1898. Died, 12 Jul 1975, Powhattan, KS. Bur. Dudley Township Cem. Satanta Haskell Co., KS. Find A Grave Memorial# 30631068. Did not marry..
Ward Bernard Rooney. Born, 20 May 1901. Died, 20 Oct 1982 or 1988, Powhattan, KS., Bur. Sabetha Cem. Nemaha Co., KS. Find A Grave Memorial# 112491712. He m. Lillian Walton ub 1927. She was b. 24 Dec 1907, and d. 31 Dec. 2008, age 101 years. Bur. Sabetha Cem. Nemaha Co., KS. Find A Grave Memorial# 32549071. George A. Rooney, b. 1902, Powhattan, KS, and d. 1908, Brown Co., KS, age 6 years, shot by accident by Handyman. Buried: St. Patricks Cem. Beattie Marshall Co., KS. Find A Grave Memorial# 57789361. Burnell F. Rooney, b. 9 Jan. 1912, and d. 9 Sep 1982, Powhattan, KS. Bur. Dudley Township Cem. Satanta, Haskell Co, KS. He was General Pattons chef. 13. William "Will" Tecumseh Rooney (PATRICK "PAT", 3). Born, 1 Oct 1865, in Leavenworth, KS. Died, 6 Aug 1952, in Haddam, Washington, KS. Will was named by his mother for Gen. William Tecumseh Sherman. Anne Elizabeth Rooney. Born, after 1902. Resided, 1962, in 164 Oak Knoll Dr, San Anselmo, CA. She married, first, William Crow. She married, second, Edgar Sherman. Mabel Rooney. She married James J. Cahill. George dArthur Rooney. He married Shirley Saunders. 14. George Bernard Rooney (PATRICK "PAT", 3). Born, 10 Feb 1867, in Leavenworth, KS. Died, 5 Dec 1954, in Dodge City, Ford, KS. Burial in Maple Grove Cem., Dodge City, Ford, KS. George was the ninth of the eleven children of Pat Rooney and his wife, Rosanna (Levings). He was named for George Brinton McClellan, but somehow he became known as George Bernard instead of George Brinton. George was born in 1867 at Leavenworth, KS a few miles north of Kansas City where his parents had been living since 1858. In 1869, when he was two, his family moved to Brown County, near Fidelity, where his father farmed for the next 25 years. George married in 1904 at the age of 37. He died at Dodge City, KS in 1954, two months short of his 87th birthday. He married Jessie Margaret Shannon, 5 Oct 1904, in Fontanelle, Adair, IA. Born, 1878. Died, 1948. Burial in Sabetha Cem. 43       i.  William Howard Rooney. 44      ii. George Bernard Rooney Jr.
Brown, KS. Died, 29 Jul 1916, in KS. Burial in Sabetha Cem. 15. Arthur Patrick Rooney (PATRICK "PAT", 3). Born, 27 Nov 1869, in Fidelity, Brown, KS. Died, 9 Dec 1920, in Mayo Clinic, Rochester, MN. Occupation: Doctor. 16. Mark Rooney (Hugh, 4). Born, 3 Dec 1884, in Fairview, Brown Co., KS. Died, 28 Oct 1966, Hiawatha Hospital, in Fairview, Brown Co., KS. Burial in Fidelity Cem. in Arlington Cem., Arlington, VA. He married Marie Tyson. 45      ii. Lee P. Rooney. 46     iii. Alice Isabel Rooney. KS. Residence in 722 Randall Rd., Lawrence, KS 66049. Norman Gary Lane, 27 Dec 1958, in Lawrence, KS. 47      vi. George Edward Rooney. 17. Eva Catherine Rooney (Hugh, 4). Born, 7 Aug 1897, in Oneida, KS. Died, 21 Sep 1984, in Fairview, Brown, KS. Occupation: Schoolteacher. 48       i.  Kathleen Anne Studer. 49      ii. Eileen Clare Studer. 50     iii. Henry Andrew Studer Jr.
51      iv. Alyce Victorine Studer. 18. Sara Rooney (Hugh, 4). Died, 11 May 1978, in Goodland, KS. ii. Joan Struder. Born in Goodland, KS. She married John F.  Beal. 19. Hester Mary Rooney (Mark, 5). Born, 7 Nov 1891, in Fidelity, KS, and d. 25 Aug 1964, St. Joseph's Hospital,Denver, CO. Bur. in Calvary Cem., Alliance, NE, per Kathy Browning, email, 6 Feb 2011. Hester is the second of the eight children of Mark Rooney (second son of Edward "Ned" Rooney and his second wife, Mary Cannon) and his wife Sarah Elizabeth "Lizzie" Prentice). Not much is known about Hester. She lived for a time at Fidelity where she was born in 1891. Some time between then and 1908 her family moved to Rawlins Co., KS at the northwest corner of the State where the youngest child in the family, Alice, was born. They may have settled at Beardsley, Rawlins Co., where Hester's son, Mark, was born in 1911. Kathy Browning's email of 21 Feb 2011 relates that Hester had an 8th grade education. She then went to Normal school, after which, she obtained a teaching certificate. She taught school in a sod schoolhouse in Rawlins County, near Beardsley. Nickolas "Nick" Haller, b. 29 Apr 1915, Beardsley, KS, and d. 14 Feb 1998. Bur. in Eagle Point Nat. Cemetery, Eagle Poiont, OR. Anna "Ann" Haller, b. 7 Aug 1917, Beardsley, KS, and d. 28 Aug 2008. Bur. Mary 's Assumption Cem., Herndon, KS. Resided, 1989, in Herndon, KS. Monica "Mike" Haller, b. 2 Feb 1920, Beardsley, KS. In 2011 she lived in Landers, CA, healthy and sharp at the age of 91 years. Teresa "Pat" Haller, b. 22 Oct 1922, Beardsley, KS, and d. 28 Sep 1999, Denver, Co. Bur. Ft. Logan Military Cem., Denver, CO..
Andrew Haller, b. 15 Mar 1928, Beardsley, KS, and d. 24 Sep 2003. Bur. Ft. Logan Military Cem., Denver, CO..
Hubert "Mike" Haller, b. 23 Jan 1930, Atwood, KS, and d. 28 May 1998. Bur. cem., Ceder City, UT. By email of 22 Feb 2011, Mark Bauman says he is a descendant of Adam Haller and Hester Rooney. Specifically, I am the grandson of Hubert Michael Haller. He married Dorothy Albers of Modesto, CA. She was born in 1935 and still lives in Cedar City, UT. Together they had four daughters. Jacob "Jake" Haller, b. 14 Jan 1933, Atwood, KS. Lives in Richmond, MO;. John Haller, b. 14 Jan 1933, Atwood, KS. Bur. Nebraska Vetrans Cem., Allliance, NE. Chrles "Charlie" Haller, b. 18 Jan 1934, Atwood, KS. Lives in Ft. Lupton, CO.
Alouyis "Louis/Loujie" Haller, b. 18 Jan 1934, Atwood, KS, and d. 1935 at 1 year of age; had German measles and went into pneumonia. Kathy Browbning's email of 21 Feb 2011 suggests that perhaps his death res9ulted from the dust of the dust sorms of that period. Joseph "Joe" Haller, b. 18 Sep 1935, Atwood, KS. Lives in Hemingford, NE. Francis Patrick "Pat" Haller, b. 16 Jan 1937, Atwood, KS. Lives in Hemingford, NE..
20. Mark Patrick Rooney (Mark, 5). Born, 7 Dec 1892, in Fairview, Brown, KS. Died, 17 Feb 1947, in Denver Co., CO.
"From the story my mom told me, my great grandparents Mark and Olivia divoriced and she moved to California. When Olivia came to California she took the four boys with her, Mark Chirstopher, Gail, Glen William, and Oral (Dan). She then married a man by the last name of Irish who, in turn, adopted all four boys and they took his last name. Hence our last name of Irish." Gail Douglas Rooney. Born, 6 Oct 1917, in Beardsley, Rawlins, KS. He married Mary. Glen William Rooney. Born, 16 Apr 1919, in Atwood, Rawlins, KS. Died, 20 Apr 1942. I am Glenn W. Irish, and I am very much interested in Joseph R Prentice, who was awarded the Medal of honor in the Civil war. I believe him to be a Great Great Grandfather of mine. I was in the Army also as a SP5, Rto/Fo, Eco, all of 1967, with the 9th Inf Div in Vietnam. . . .I am the eldest son of Dan Edward (Oral) Irish and Doris Ernestine Rice. I have an older sister named Coral who married Hugh Rugge and they have a son named Robbie. Robbie married Myla and they now too, has a son named Barret. My two younger sister and brother is Noreen and Danny. I became divorced since 1998 from my 1st wife, Joanne Hollenbeck who I had four four daughters: Heather, Kathy, Kelly and Holly. After ten years of being alone, I finally was remarried last December 27, 2008 to my new wife from the Philippines named Meriam T. Dumadag- Irish. We currently live in a small little town in Princeton California, in an old Methodist Church we are remodelling as our home and which was also built in 1862, the same year Joseph R. Prentice was awarded the medal of honor that's why this is very significant and historic to me too. Kathy Irish. Unmarried in 2009. Mason Parham, b. c. Feb 2010. Holly Irish per her email of 26 Dec 2009..
Glenn m. 2nd Meriam T. Dyumadag from the Philippines. Noreen Irish. Sge has three children: Patrick Daniel Westerberg, Bernadett Westerberg, and Nicholas Prescott Irish. 21. Alice Rooney (Mark, 5). Born, 21 Aug 1907, in Rawlins Co., KS. 22. Edward Rooney (John "Punch", 6). Born, 19 Oct 1887, in KS. Died, 29 Apr 1956, in Topeka, KS. Occupation: Attorney. Edward is the oldest son of John Rooney (fourth child of Edward "Ned" and his wife, Mary Cannon). Born in 1887, the year following his parents marriage in Brown County, KS, it is probable that he was born in Brown County. Since his father died in 1937 in adjoining Nemaha County, it is probable that he spent his youth in one, or perhaps both, of the counties. Edward died in 1956 at the age of 68. Carlisle Ganz reports that Edward died at home on his lunch break. 57       i.  Edward Rooney Jr.
58      ii. John Henry Rooney. 23. John (Jack?) Rooney (John "Punch", 6). Born, 10 Jul 1889, in KS. Died, 26 Jul 1966. 1930 census in Downs, Osborne Co., KS. John, apparently also known as "Jack," was the second of the eight children of John Rooney (son of Edward "Ned" and his second wife, Mary Cannon) and his wife Cecily (McKibbon). Like his older brother, Edward, he was probably born in Brown County and spent his youth in Brown and/or Nemaha Counties. He died in 1966 sixteen days after his 77th birthday. Murry Rooney, b. c. 1912, KS. Robert M. Rooney, b. c. 1914, KS. (dau.) Rooney. She m. Mr. Condry and had a daughter who m. 1st Mr. Arnold and 2nd Mr. Graham. (dau.) Rooney. She m. Mr. Gillengerten and had a daughter. Walter W. Rooney, b. c. 1919, KS. Harold G. Rooney, b. c. 1921, KS. Thelma A. Rooney, b. c. 1923, KS. 24. Florence Rooney (John "Punch", 6). Born, circa 1893 (? ), in KS. Died, before 1986. Florence is one of the eight children of John Rooney (Son of Edward "Ned" Rooney and his second wife, Mary Cannon). We do not yet know her date and place of birth, but it may have been in the early 1890's in Brown County, KS where her parents were married in 1886.
i.  Henry Cromer, b. c. 1914, KS. ii. Dorothy Cromer, b. c. 1921, KS. 25. Cecilia Rooney (John "Punch", 6). Died, before 1986. Cecilia was the fifth of the children of John Rooney (son of Edward "Ned" Rooney and his second wife, Mary Cannon). Her date and place of birth are presently unknown, but was around 1890 and perhaps in Brown County, KS where her parents had been married in 1886. Not in 1930 census. 59       i.  John Kamlowski Jr.
26. Robert Rooney (John "Punch", 6). Born, 20 Jul 1893, in Washington, KS. Died, 23 Dec 1968, in Muskogee, OK.
Robert was one of the eight children of John Rooney (son of Edward "Ned" Rooney and his second wife, Mary Cannon). i.  Robert Rooney. Born in Hebron, Thayer, NE. Died, 28 Jun 1957. He married Grace Pray, before 1957 (?). ii. Wilhemina Marie Rooney. Born in Hebron, Thayer, NE. She m. Howard B. Shirley. iii. Patricia Jane Rooney. Born in Topeka, KS. She m. R. L. Entielain. Inmesdale, KS. Died, 12 Oct 1918. Burial in Alexandria, NE. Jane is one of the eight children of John Rooney (Son of Edward "Ned"
birth of her son, Phil. 60       i.  John Phillip "Phil" Connell. She married Chester Ilhinger. Died, 23 Jul 1990, in Willits, CA. Shawnee, KS. He married Jo. Shawnee, KS. He married "Mel" Pasche. Shawnee, KS. She married Robert Perry. 19 Sep 1950, in Fairbury, NE. Burial in Cath. Cem., Alexandria, NE. Carol Friesen, 16 Jul 1938.
iv. Harvey Cunningham. Born, 1922. He married Doris. vi. Bernard L. Cunningham. He married Edna Freisen. Backer. She married, second, Donald Larkins. 30. Mary Elizabeth4 Cunningham. Born, 12 Feb 1901, in Gladstone, NE. Died, 20 Sep 1980, in Fairbury, NE. Bluff, IA. Born, 11 Sep 1899, in Smith Co., KS. Died, 30 April 1992, Beatrice Neb. Douglas, NE.Died 1 Dec 2000, Beatrice Neb. She married     Charles Leonard Fitzgerald, 17 Jan 1942.
ii. Russell Nicholas Lowery. Born, 27 Sep 1927.Died 15 Jan 1999,Norfolk,Neb. He married Norma Lee Allen. NE. Died, 16 Nov 1966, Jefferson,Neb. NE. She married Richard Tuma. 32. Arthur Cunningham. Born, 29 Dec 1913, in Gladstone, NE.Died 11 Jan 2002 Col. He married Anne Elizabeth Nutsch. Born, 11 Oct 1909,Col. in Mt. Hope Abbey, Topeka, KS. 61       i.  Viola May Joss. 62      ii. Beulah Belle "Be-Be" Joss. 63     iii. Elizabeth Rose Joss. 34. Chester Charles Rooney (Albert Edward "Ed", 9). Born, 21 Nov 1883, in Fairview, Brown, KS. Died, 7 Apr 1961, in Dodge City, Ford Co., KS , age 77. He married, first, Ada Esther Marlow, 29 Apr 1910. For a group portrait, see Ancestry.com . 65       i.  Stanley Rooney Tiller. 66      ii. Harry Bernard Tiller. 71     iii. Dean Jackson Tiller. 36. Orlie Edward Rooney (Albert Edward "Ed", 9). Born, 17 Nov 1895, in Fidelity, Brown, KS. Died, 26 Nov 1969, in Topeka, KS. Burial in Sabetha Cem., Sabetha, Nemaha Co., KS. 67       i.  Rosanne/Rosanna M Rooney. 68      ii. Edward "Eddy Lee" Rooney. 70      iv. Donald Ray Rooney. He married, second, Venita, 22 Apr 1939. She was b. c. 1911. KS. Died, 29 Oct 1946, in Santa Ana, Orange, CA. Waterville, Waseca, MN. Died, 2 Oct 1960, in Santa Ana, Orange, CA. Adolph is the son of Mathias "Martin" Dewald and his wife Amelia (Gregor). i. (See Dewald Family Genealogy) . 38. John Whit "Whit" Rooney (John Francis, 12). Born, 27 Jul 1906 . Died: 21 Sept. 1973, Powhattan, KS. Buried: Elsmore Cem. Elsmore Allen Co, KS. Find A Grave Memorial# 54872464. Reba left the family when the children were young. Michael Patrick Raley, b. 21 Dec 1941. Rebecca Reba m. 3rd. William Christian Kaiser Jr., on 8 Apr. 1971, San Bernardino, CA. He was b. 10 Aug. 1910 and d. 13 Mar. 1992. Bur. Inglewood Pk. Cem., Inglewood, Los Angeles Co., CA. Find A Grave Memorial# 47029857. Sean Edgar McDonald (Mother-Vickie Rooney), b. 18 Dec. 1968 and living in 2015. He m. Traci Reinch on 25 Jul 1998. He was b. 20 Sep 1971 and living in 2015. Matthew Charles McDonald (Mother-Vickie Rooney), b. 20 Nov. 1972 and living in 2015. He m Marta, 27 Nov 2001 and b. 7 Jan 1981, Poland, and living in 2015. Vickie m. 2nd Gary Charles Winans on 3 Nov 2012. He was b. 2 Oct. 1942, and living in 2015. Rodney John Rooney, b. 31 Oct. 1951 and living in 2015. Did not marry. He married, third, Anna Malinda Annie Jackson Page in 1967 per Vickie McDonald-Winans, . Bronson Bourbon CO, KS Born: 15 Jul. 1911, Died: 20 Jan. 1987. Buried: Moran Cem. Moran, Allen Co, KS. Plot: South Section, Block 6, Row 1, Lot 44, Plot 3. Find A Grave Memorial# 57512052. 39. William Tecumseh Rooney (William "Will" Tecumseh, 13). Robert Brockman Rooney, b. 11936 and d. after 18 hours. Anne Stephanie Habiby, b. 1963. Suzanna Rooney Markstein, b. 1973. Christopher Ray Rooney, b. Sep 1974. Stephen Charles Kaplan Rooney, b. 13 May 1990. Ava Pat Kaplan Rooney, b. 8 Nov 1996. 40. Helen Rooney (William "Will" Tecumseh, 13). 41. Paul Rooney (William "Will" Tecumseh, 13). 42. Geraldine Rooney (William "Will" Tecumseh, 13). He married Jean Stevenson, 23 Jul 1930, in Turon, Reno, KS. KS. Died, 28 Jun 1937. 1908, in Fairview, Brown, KS. Mitchell, KS. Born, 26 Sep 1909, in Croker City, Mitchell, KS. Resided, 1990, in 1918 LaMesa Dr., Dodge City, KS 67801. 73       i.  George Bernard Rooney III. He married, second, Edith McGrath. 45. Lee P. Rooney  (Mark, 16). Born, 26 Jul 1914, in Fairview, Brown, KS. Died, 27 Sep 2001, in Victorville, CA. Burial in St. Augustine Cm, Fidelity, KS. Dollie Rooney. Residence in Los Angeles, CA. She m. Mr. Rohlf and in 2004 lived in Muscotah, KS. He married, second, Daisy Vickery, Feb 1997. Gerald L. Rooney, Hanford resident, 67, passed away 17 Feb 2004 at his home following a valiant battle with cancer. Gary was born on May 18, 1936 in Fairview, Kansas. He was raised in Muscotah, Kansas with his sister Dolly until age 18. On a football scholarship he attended two years of college. Married with two children, Gary and his wife resided in Kansas City, Kansas for many years. This is where Gary started his sales career that spanned 42 years. After moving to California in the 60s, his family resided in Norco. He continued as a feed broker with a customer base that included Chino, Ontario and the Tulare basin. Gary was a dynamic salesman and was passionate about his work. In 1979, he married Joyce Swank. Together for 25 years, they ran his corporation, Dynamic Special Products, Inc. He was a member of the Masonic Lodge and was also very active in Alcoholics Anonymous. Gary is survived by his mother, Della Rooney of Sebetha, Kansas; his wife, Joyce of Hanford; sister, Dolly Rohlf of Muscotah, Kansas; son, Bret Rooney of Durham, N.C.; daughter, Kimm Vanna of Laguna Beach, Calif.; grandsons, Kyle and Bryan Rooney of Durham, N.C.; stepdaughter, Diana Tapken of La Pine, Ore.; stepson, Eugene Swank of San Bernardino, Calif.; step granddaughters, Charlotte Johnson of Sherwood, Ore. and Shelby Swank of San Bernardino, Calif.; and three great-grandchildren, Zane, Ian and Ashlyn Johnson of Sherwood, Ore.
Visitation will be from 7-9 p.m. Friday, February 20th at People's Funeral Chapel in Hanford. Services will be held at 2 p.m. Saturday, February 21th at People's Funeral Chapel. Burial will be La Pine Community Cemetery in La Pine, Oregon. In lieu of flowers the family requests remembrances be made to Adventist Health Home Care Hospice Services, 823 W. Lacey Blvd., Hanford, CA 93230 and/or Fort Roosevelt, P.O. Box 164, Armona, CA 93202 in Gary's name. Kimberly Ann Rooney, aka Kimm, b. 11 Apr 1958, Kansas City, MO. She m. Mr. Vana/Vanna and in 2004 lived in Laguna Beach, CA. Nila Jolene Rooney, b 10 Jan 2016. Scarlett Faith Rooney, b. 3 Apr 1917. Alice Isabel SHOWMAN, 94, died Friday, May 11, 2012, at the Apostolic Christian Home in Sabetha. She was born in Fairview on Aug. 6, 1917, the daughter of Mark and Dollie SCOTT ROONEY. She graduated from Fairview High School. Isabel married Emery SHOWMAN on Aug. 31, 1940. They owned and operated a trucking business for many years. Later, Isabel worked for WADDELL & REED and WITTMER Farm Realty, before eventually opening a family real estate firm, SHOWMAN Realty, L.C. with her son and daughter-in-law, and eventually her grandson. Isabel enjoyed playing bridge, cooking, Kansas basketball games, and spending time with family and friends. Emery died April 1, 1990. Also preceding Isabel in death were her son, Fred SHOWMAN on March 4, 2005; he parents; three brothers, Fred, Lee and George ROONEY; and a sister, Dorothy ROONEY. Survivors include her daughter-in-law, Marilyn SHOWMAN of Sabetha; a grandson, Shawn SHOWMAN and wife Carly of Lawrence; a sister, Mary LANE of Jeffersonville, Ind. ; and several nieces and nephews. Memorial service will be at 11 a.m. Friday, May 18, at the United Methodist Church in Sabetha. The family will greet friends one hour prior to service time. A private family inurnment will take place in the Sabetha Cemetery at a later date. Memorial contributions are going to a charity that has yet to be designated, sent in care of POPKESS Funeral Home, 823 Virginia, Sabetha, KS 66534. Online condolences may be left for the family at www.popkess-mortuaries.com. The Sabetha Herald, 16 May 2012. Fred Gerard Showman, 51, Sabetha, died March 4, 2005, at a Sabetha hospital of a sudden heart attack following a long battle with multiple sclerosis. He was born April 27, 1953, in Sabetha, the son of Emery Leroy and Alice Isabel Rooney Showman. He graduated from Sabetha High School in 1971 and attended Washburn University and The University of Kansas. Mr. Showman owned and operated Fred's Small Engine in Topeka before moving to the Kansas City area for health reasons. He worked for Rose's Lawn & Garden and Thrifty Steam Clean, both in Grandview, Mo., Raymore Lawn & Garden, Raymore, Mo., and later for John Deere Lawn & Leisure, Lee's Summit, Mo. He began his real estate career in 1980, working for Wittmer Farm Realty of Topeka. In 1996, the family started Showman Realty, L.C., and Mr. Showman was supervising broker at the time of his death. After moving back to Sabetha, he also worked as a small engine mechanic and machinist at Mellenbruch Machine Shop in Fairview. He served as a volunteer fire fighter for Fairview-Walnut Fire Department. He also served on the Planning Commission and Zoning Board of Appeals. He was a member of Sacred Heart Catholic Church in Sabetha. Fred married Marilyn Ann Henry on July 27, 1974, in Wetmore. She survives. Other survivors include a son, Shawn F. Showman, Lawrence; and his mother, Isabel Showman, Sabetha. Mass of Christian burial was celebrated by Father Bernard Kimminau on March 7 at Sacred Heart Catholic Church in Sabetha. Inurnment will be in Sabetha Cemetery. Memorial contributions made to the Fred Showman Memorial Fund were given to the Multiple Sclerosis Society, the American Heart Association, the Fairview-Walnut Fire Department, and Sacred Heart Catholic Church. Shawn F. Showman. Living in Lawrence, KS, in 2012. Mass of Christian Burial for George "Ned" Edward Rooney, 77, Lawrence, KS, will be held at 10:00 a.m., March 10, 2011 at Corpus Christi Catholic Church in Lawrence, KS. Visitation is at the church at 9:00, rosary at 9:30 and funeral mass at 10:00. Luncheon provided prior to departure for graveside services at Fidelity in Fairview, KS. Burial will follow at Fidelity Catholic Church Cemetery in Fairview, KS. Mr. Rooney died Saturday, March 5, 2011. He was born in Hiawatha, KS on May 5, 1933, the son of Mark and Anna Mary "Philomena" Rooney. He attended eight grades in a rural one-room school, Franklin Grade School, and graduated from Fairview High School in 1950. In 1955, he graduated from the University of Kansas with a degree in accounting and he was a member of the Pi Kappa Alpha fraternity. Soon after graduation, he passed the CPA exam. George met Mary Lou Rickman after they both earned their degrees at KU. On October 22, 1956, they were married in Arizona at Ft. Huatchua where George was serving in the army. Their first set of twins (boy and girl) was born at the army base with the son not surviving as they were premature. Three years later, the second set of twins, fraternal boys, were born. George worked as an accountant and cost accountant at IMCO, Ethyl, Brockway, and Summit and resided with his family primarily in Overland Park, KS; Baton Rouge, LA; and Richmond, VA. He retired at the age of 70 from Summit. George went through life with his wonderful sense of humor, positive attitude, and gentleness. He was great with math/numbers. For example, one day, he decided to look at his wife's Sudoku puzzle book and he quickly figured out the math sequencing for them. His passions also included road trips with the family, history, reading, golf, and playing cards. George and Mary Lou were seen as a special couple in their later years together as they both were totally devoted to helping each other after they each had strokes. He is survived by a loving family which includes: daughter, Cathy "Cat" Howland, and husband Darren, Lawrence, KS; sons, Kevin Rooney, and wife Ellen, Baton Rouge, LA, and Bruce Rooney and wife, Donna, Louisburg, KS and five grandchildren, Emily, Nick, Eliza, DeAnna, and Marshall Rooney. He was preceded in death by his wife, Mary Lou Rooney, by just 20 days; his parents, siblings Dorothy, Fred and Lee Rooney, and infant son, James. Suggested memorials to your choice, American Heart Association or American Cancer Society. Send in care of the Warren-McElwain Mortuary, 120 W 13th St., Lawrence, KS 66044-3402. James Rooney, twin son, died in infancy. Cathy "Cat" Rooney, twin daughter. She m. Darren Howland and in 2011 lived in Lawrence, KS. Kevin Rooney, twin in 2nd set of twins. He m. Ellen and in 2011 lived in Baton Rouge, LA. Bruce Rooney, twin in 2nd set of twins. He m. Donna and in 2011 lived in Louisburg, KS. KS. Residence in 504 N. 2nd St., Hiawatha, KS 66434. KS and d. 5 May 2008, Topeka, KS. Bur Mt. Calvary Cem., Topeka. In 2991 she lived at 2901, SW Armstrong, Topeka, KS 66614. She married Thomas J. Haefele on 18 Oct 1951, Fidelity, KS. KS. Residence in 520 S. 14th St., Sabetha, KS 66534. He married Sharon Littrel, 4 Oct 1956. Born, circa 1931 (?). KS. Residence in Desoto, KS. 52. Paul Mark "Paul" Haller, b. 17 Oct 1911, Beardsley, Rawlins Co., KS, and d. 22 Dec 1993, KS. Bur. in cem., Strattion, NE. in 1989 resided in Stratton, NE. "Ned" Rooney and his second wife, Mary Cannon). He married Mary "Leona" Elizabeth Hielers. Born, 18 Sep 1907, in IN. 74     iii. Pauline Joan Haller. vi. Frank Ervin Haller. Born, circa 1953 (?). Died, 3 Mar 1980. 53. Mark Christopher Rooney (Chris Irish) (Mark Patrick, 20). Born, 28 Feb 1916, in Beardsley, Rawlins, KS. Resided, 1990, in 4107 W. Barbara, Phoenix, AZ 85051. He married Twyla Mae Caldwell, 1 Jan 1938, in Reno, Washoe, NV. Born, 7 Feb 1918, in Altonah, Duchesne, UT. Dau. of Earl Caldwell and Lucinda Jane Alexander. By email of 27 Dec 2009, Holly Irish says that as of 2009, Mark and Twyla have 20 grandchildren and 120 great grandchildren. 75       i.  Twyla Raenell Irish. 76      ii. Ina Lee Irish. 54. Elizabeth Rooney (Mark Patrick, 20). Born, circa 1935 (?). 55. Joan Rooney (Mark Patrick, 20). Born, circa 1937 (?). 56. Barbara Rooney (Mark Patrick, 20). Born, circa 1939 (?). iv. Monica Brienza. Born, 1970. 57. Edward Rooney Jr. (Edward, 22). Born, 14 Jun 1914, in Topeka, KS. Edward Jr. is the son of Edward Sr. and Anne/Anna Henry. 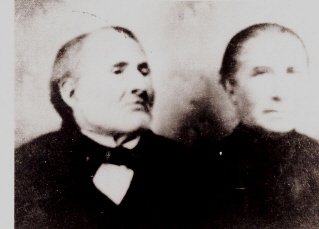 Edward Sr. was the oldest son of John Rooney, who was the fourth child of Edward "Ned" Rooney and his second wife, Mary Cannon. DC. She married Ronald Honeycutt. KS. She married Allan Barnett. iv. Emily Margaret Rooney. Born, 8 Jun 1952, in Topeka, KS. She married Harm Raymond Lowstuter. 58. John Henry Rooney (Edward, 22). Born, 13 Nov 1916, in Topeka, KS. Died, 12 Jul 1980. WA. He married Donna Hook. iv. Kathleen Ann Rooney. Born, 16 Oct 1949, in Topeka, KS. 59. John Kamlowski Jr. Resided, 1986, in VA?. Rooney, son of Edward "Ned" Rooney and his second wife, Mary Cannon. i. (3 boys, 1 girl) . NE. Resided, 28 May 1937, in Gilead, (or Hebron? ), NE. Thayer, NE. Died, 7 Jun 1938. NE. She married Donald Spafford, Jan 1961. NE. He married Beverly Chambers, 1966. Jefferson, NE. She married James Groathouse, 10 May 1966. Fairbury, Jefferson, NE. Dau. of Edwin Thieme and Edith Schmidt. 61. Viola May Joss. Born, 23 Sep 1908, in Newark, Licking, OH. Died, 1 Jun 2000, in Beaumont, Jefferson, TX. i.  Gilbert Adams/Timbrell. Born, 1 Jul 1942.
iii. Elizabeth Adams/Timbrell. Born, 27 Jan 1948. 62. Beulah Belle "Be-Be" Joss. Born, 8 Dec 1910, in Hereford, TX. Residence in Dallas, TX. Occupation: Teacher. 78       i.  Paul Rooney Daniels. She married Herbert Oldham, 5 Aug 1938, in Beaumont, Jefferson, TX. 64. Donna Lee Rooney (Chester Charles, 34). Born, 9 Jun 1925. Resided, 1997, in Tahlequah, OK.
i.  Steven Oakes. Born, 23 Aug 1943.
ii. Vicki Oakes. Born, 29 Sep 1946.
iii. Gregory Oakes. Born, 8 Feb 1954. She married, second, (Lloyd Short?). 66. Harry Bernard Tiller. Born, 24 May 1926, in Orlando, FL. Resided, 1997, in Council Bluffs, IA. i.  Sara Jane Tiller. Born, 27 May 1951.
ii. Freddy Bruce Tiller. Born, 10 Mar 1952.
iii. John Patrick Tiller. Born, 12 Jan 1954. 67. Rosanne/Rosanna M Rooney (Orlie Edward, 36). Born, 27 Mar 1920, in Fairview, Brown, KS. Died, 9 Sep 2001, in Duarte, CA. Burial in Live Oak Mem. Pk, Monrovia, CA. She lived in Fairview, Kansas until 1948 when the family moved to Victorville, California, and then later on to Duarte, CA. Patrick Edward Schneider, b. 15 Sep 1946 and d. 13 Oct 1995 in Monrovia, Los Angeles Co., CA. Bur. with his parents at Live Oak Mem. Pk, Monrovia, CA. He m. Cynthia Mae Levins on 4 May 191618, Los Angeles, CA. She was b. 8 May 1946 and living in 2016. Carrol J. Schneider. Born, 12 Jul 1951. She m. Mr. Rencoret and in 2012 lived in Laverne, CA. Harold David Schneider Dave peacefully passed away on September 20, 2012 after a courageous battle with cancer. He was born August 16, 1944 in Horton, Kansas to Rosanna Rooney and Harold David Schneider Sr. He lived in Fairview, Kansas until the age of four when the family moved to Victorville, California, and then later on to Duarte, California. He attended Lutheran parochial school and then graduated from Duarte High School in 1962. Following high school graduation, he attended Mount San Antonio College in Walnut, California where he received an AA degree in accounting and where he played in the band and met Carolyn Huffman. David and Carolyn were married April 17, 1964 in Chino, California. He worked for General Telephone in Southern California until moving back to Kansas in 1974. He and Carolyn bought farmland southwest of Sabetha and built their family home. He was employed with Justice/Flairfold/Abitibi Price in Hiawatha, Kansas for a number of years where he worked as an electrician. He also worked at the Sabetha Manor where he did maintenance work and enjoyed driving the van for the residents. After reaching retirement, he worked at Garretts Country Mart where he loved visiting with all of the customers. He was a lifelong member of the Lutheran church. He served as an elder at First Lutheran in Sabetha, Kansas and more recently was a member of St. Pauls Lutheran church in Fairview, Kansas. He was a member of the Capioma Cemetery Board. He enjoyed traveling, especially to visit his children. He treasured his time spent with his grandchildren and loved creating adventures for them. He loved to fish, take pictures, garden, travel, study genealogy and visit family and friends. David never knew a stranger and always loved to make people laugh. He is survived by his wife, Carolyn of Sabetha. His three children, Bonnie (Schneider) Becker and her husband Glenn of Byron, Illinois; Mark Schneider and his wife Amy of Topeka, Kansas and Jim Schneider and his wife Michelle of Bellingham, Washington; four grandchildren, Josh, Emi, Xander and Noah. He is also survived by his sister, Carole Rencoret, of Laverne, California and many nieces, nephews and cousins and his faithful dog Molly. He was preceded in death by his parents, Rosanna and Harold Schneider; his brother, Patrick Schneider; brother-in-law, Victor Rencoret, and his mother and father-in-law, Mary and Virgil Huffman. Bonnie Schneider. She m. Glenn Becker and in 2012 lived in Byron, IL. Mark Schneider. He m. Amy and in 2012 lived in Topeka, KS. Jim Schneider. He m. Michelle and in 2012 lived in Bellingham, WA. He married Louise Puvogle/Puvogel, 1943, in San Luis Obispo, CA. i.  Richard Edward Rooney. Born, circa 1944.
ii. Patricia Ann Rooney. Born, circa 1946.
iv. Karen Rooney. Born, 9 Sep 1953.
v.  Sharon Rooney. Born, 9 Sep 1953. 70. Donald Ray Rooney (Orlie Edward, 36). Born, 15 Nov 1924 in Fairview, Brown, KS. Died, 14 Apr 2001, in Fairfield, CA. Burial in Fairfield Mem. Pk, Fairfield, CA. i.  Cynthia Ann Rooney. Born, 6 Aug 1950.
ii. Daniel P. Rooney. Born, 29 Dec 1955, in Los Angeles, CA. iv. Ronald Lee Rooney, b. 25 Nov 1863. KS who was shot and killed on 31 May 2009. Cremated. Location of ashes is unknown. ii. Diana Kay Tiller. Born, 21 Aug 1943. Living in 2015.
iii. Jacque Paula Tiller. Born, 24 Jul 1946. She m. Joseph Maurice Birnhard Biddinger. He was b. 9 Dec 1945. Dean Jackson Tiller and Jacque, along with their spouses were killed in Park Co., WY on 22 Aug 1970. Both bur. Little Cem., Littleton, Arapahoe Co., CO.
72. Archie Franklin Rooney (John Whit "Whit", 38). Born, 5 Oct 1934 in Garden City, KS, and d. 7 Jul 2007, Garden City, KS. Buried: Dudley Twnshp. Cem. Satanta, Haskill Co, KS. Find A Grave Memorial# 30454290. Raised by aunt and uncle, Harry Patrick Rooney. William Patrick Rooney. Born, 9 Nov 1957 and living in 2015, KS. Ardith Rooney. Born, 30 Dec 1958 and living in 2015. She married Mr. Dunn. RoxAnn Rooney. Born, 12 Sep 1961 and living in 2015, KS. Resided, 1997, in Wellington, KS. He married Anita Louise McCoy, 28 Dec 1957, in Pratt, Pratt, KS. 74. Pauline Joan Haller (Paul Mark, 52). 80       i.  Michael Donald Huss. 82     iii. Paula Anna Huss. 17 Dec 1938, in Oakland, Alameda, CA. Resided, 1992, in 4107 W.
Contra Costa, CA. Died, 7 Dec 1972. 1942, in Oakland, Alameda, CA. 1965 (?). Born, 23 Apr 1941, in Redding, Shasta, CA. Feb 1943, in Oakland, Alameda, CA. 78. Paul Rooney Daniels. Born, 14 Jul 1941, in Dallas, Dallas, TX. 83       i.  Dan Rooney Daniels. circa 1966, in Wheaton, DuPage, IL. i.  Dallas Crow. Born, 11 Jul 1959.
ii. Kerry Crow. Born, 9 Nov 1960. 81. Patrick Huss. Born, 4 Mar 1957. 82. Paula Anna Huss. Born, 27 Sep 1959. He married Vicki Lynn McGatlin, 6 Aug 1983, in Mt. Pleasant, TX. ii. Amber Grace Daniels. Born, 28 Sep 1986.
iii. Joel Paul Daniels. Born, 27 Apr 1988.
iv. Bonnie Joy Daniels. Born, 6 Apr 1990.
v.  Alden John Daniels. Born, 30 Nov 1991.
vi. Josiah Dean Daniels. Born, 4 May 1994.
vii. Aspen Estelle Daniels. Born, 22 May 1996.
viii. Sterling Clark Daniels. Born, 2 May 1998.
ix. Eleanor Dawn Daniels. Born, 14 Jul 2000.
iii. Kevin Womack. Born, 3 Mar 1992.
iv. Brian Womack. Born, 9 Mar 1994.
i.  Catherine Alissa Christie. Born, 16 Dec 1996.
ii. Rebecca Olyvia Christie. Born, 28 Oct 1998.
i.  Joshua Paul Barwell. Born, 27 Jun 1997.
ii. Samara Noel Barwell. Born, 28 Dec 1998. Info. from Joseph R. Prentice, 29 Aug 1986. Carlisle Ganz, 11 Jun 1990. Joseph R. Prentice, 30 Sep 1974. Marriage Lic. ; Doris Rooney, 23 Nov 1987. Doris Rooney, 23 Nov 1987: Family Traditions. May be 6 Feb 1862, 1962 letter said celebrating 90th birthday. One source said 1961, but is named in 10 Mar 1962 letter as living. Resided, 1962, at 1124 W. 7th, Los Angeles, CA. Jack Heaps, 2 Jun 1993. Named in obit. of sister, Anna. Doris Rooney, 23 Nov 1987. Carlisle Ganz, 11 Jun 1990; from tombstone. Joseph R. Prentice, 30 Sep 1974; another source says died 1939. Carlisle Ganz, 23 Aug 1990; Jack Heaps, 2 Jun 1993. Dau. of Bernard (Bryan) McGuire and Mary Britt. Jack Heaps, 2 Jun 1993; Marcia Daniels, 15 Aug 2000. Another source says 28 Jun 1928. Jack Heaps, 2 Jun 1993; another source says b. 25 Sep 1858. Another source says died 8 Feb 1936. Carlisle Ganz, 23 Aug 1990; Jack Heaps, 02 Jun 1993. Carlisle Ganz, 23 Aug 1990. Jack Heaps, 2 Jun 1993; SSDI. Jack Heaps, 2 Jun 1993; mentioned as living in letter of 10 Mar 1962. Letter from her dated 14 Apr 1962. Perhaps b. 1889, d. 1926 and bur. in Fidelity Cem. Eleanor Seberger book; Carlisle Ganz, 23 Aug 1990. Carlisle Ganz, 22 Oct 1986; 23 Aug 1990. Group Sheet by Twylla Raenell Null says he was born 7 Dec 1893. Olive Clayton says "Pearson"; Jos. R. Prentice says "Heaton". Joseph R. Prentice, 20 Sep 1974. Sadie Rooney, 15 Nov 1986. Sadie Rooney, 15 Nov 1986; Carlisle Ganz, 11 Jun 1990. Sadie Rooney, 15 Nov 1986); Carlisle Ganz, 23 Aug 1990. Gottlieb Joss and Martha Robins. Group Sheet, Jack Heaps, 2 Jun 1993. Mentioned as living in 10 Mar 1962 letter. Different sources give different name for Orlie's wife. RoxAnn Rooney, email, 2 Nov 1997. Dau. of Henry & Cordelia (Price) Stevenson. Dau. of Ralph Walter & Gertrude (Rodkgers) Dockstader. Carlisle Ganz, 23 Aug 1990; Joseph R. Prentice, 30 Sep 1974. Sadie Rooney, 15 Nov 1986; Carlisle Ganz, 11 Jun 1990 & 23 Aug 1990. Carlisle Ganz, 11 Jun 1990 & 23 Aug 1990. Carlisle Ganz, 11 Jun 1990). Note: Marcia Daniel's email of 15 Aug 2000 says surname is Timbrell. Son of Mack Levelle Daniels and Etta Harrell. RoxAnn Rooney, 3 Nov 1997, rrooney@idir.net. Dau. of Ray & Vena (Grant) McCoy. Dau. of Clark W. Breeding and Edith Simpson. Dau. of Michael and Lynette Chandra. Dau. of Ropnald and Lavella McGatlin. Son of James and Charlotte Womack. Son of Thomas J. and Jane Christie. Son of Robert and Susan Barwell. A note from L. J. Dewald, Author: If you are interested in the Rooney surname, we hope you will find helpful information here. We have more than a thousand Rooneys and their spouses in our computerized database and we would be pleased to use our resources to help you trace your roots. Our Rooney Website is updated frequently, please check with us from time to time, and tell us about any errors, omissions or new information. We invite the comments and suggestions about ways to improve our Website so that it will be ever more helpful to others. Please email your ideas to me at dewald@prenticenet.com. We will do our best to implement your ideasas a way to make this site as useful as possible.